The Cancer Centre is moving forward with plans to refurbish a number of areas using funds from Dry July. This includes waiting rooms, patient day rooms, and multi-purpose rooms. Upgrades will include providing new window coverings to seal in heat and for sun protection, improving privacy, more comfortable seating, computers for patient use, childrens play areas, and new televisions. Work will commence in the next few months and we look forward to providing updates on these projects as the progress. 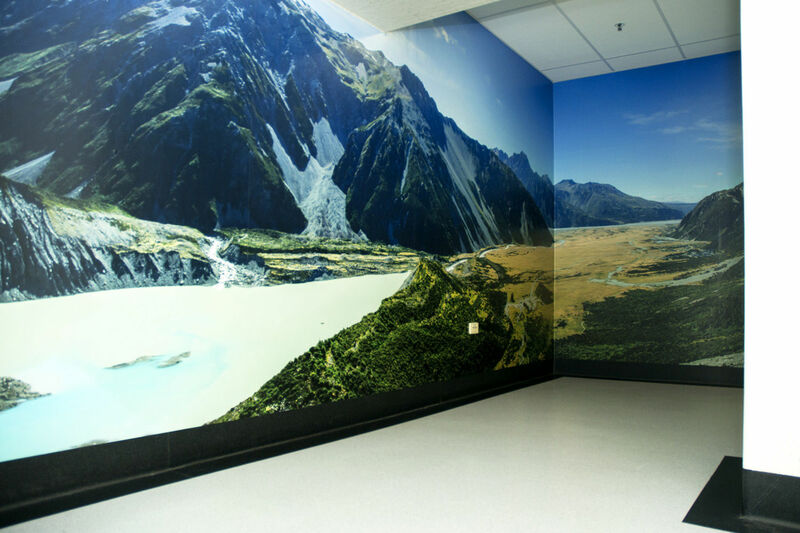 Canterbury District Health Board will use funds from Dry July to install photo murals for the oncology day ward, reception corridor and lower ground floor radiation department corridor in an effort to make these areas less clinical and more welcoming for patients. The hospital has previously used funds for murals in the radiotherapy bunkers (including the above) which have been very well received. All of which is aimed at making patients at Canterbury DHB a little more comfortable. Auckland District Health Board will use Dry July 2015 donations towards development of a range of cancer pathway-specific information including pamphlets, posters and online materials to empower cancer patients. Consumers will be involved in the development of these materials which will also be translated into different languages to increase understanding of and access to services. Although a good deal of information is already available for patients, it is primarily in very clinical language. The aim of this project is to speak to cancer patients in layman’s terms and inform them of important options available to them during their treatment.